THE SUPREME Court yesterday threw out an appeal by Mr. Tsatsu Tsikata, former chief executive officer of the Ghana National Petroleum Corporation (GNPC) against the decision of the Court of Appeal, affirming the High Court's ruling to open his defence on charges of causing financial loss to the state. By a majority 4-1- decision, the court held that enough evidence had been adduced against Tsikata to warrant his answering the four-count charges. The five-member panel presided over by Justice William Atuguba, arrived at the decision after the court heard arguments from both Prof. E.V.O. Dankwah, counsel for Tsikata and the Director of Public Prosecution (DPP), Mr. Osafo Sampong on October 27, this year. The rest of the panel members were Justices Stephen A. Brobbey, (Ms.) Sophia Akuffo, (Mrs.) Georgina Woode and (Prof.) Modibo Ocran. Even though, Justice Brobbey, currently the Chief Justice of the Republic of Gambia was not present at the court sitting, a letter was read stating his association with the majority view. On November 27, this year, the Court of Appeal upheld the decision of the Fast Track Court of March 28, this year, dismissing Tsikata's submission of no case and calling on him to open his defence on the charges. Tsikata is standing trial at the FTC on three counts of causing financial loss to the state and one count of intentionally misapplying public property by illegally guaranteeing a loan of 5.5 million French Francs from Caisse Francaise de Developement, a French company, to Valley Farms, a limited liability company. He is further accused of using a total of ¢20 million belonging to the company for the acquisition of shares in the French company, when he was in office. Valley Farms subsequently defaulted in the payment of the loan after the period scheduled for the repayment had expired. As a result, GNPC settled the debt, when it was requested to do so, prosecution alleged. 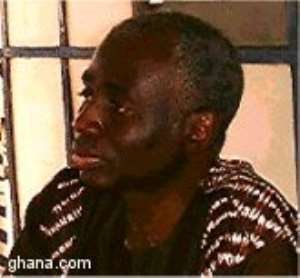 Tsikata who has pleaded not guilty to all the charges is on a ¢700 million self-recognizance bail. Reading the majority's decision, Justice (Prof) Ocran noted that the court of Appeal did not use a repealed law in deciding on the issue as the accused suggested in his grounds of appeal, adding that failure of the trial judge to articulate her reasons in her ruling did not occasion a miscarriage of justice. The Supreme Court judge dismissed assertions made by counsel for Tsikata that the use of textbooks and dictionaries as references for definitions of an offence against an accused person is unconstitutional. According to him, dictionary meanings for offences under the constitution can be the way out since such meanings are not taken care of by the constitution. Explaining further, Justice Ocran said 'willful' constitutes a reckless act, whiles a loss to a public corporation further leads to a loss to the state. Decisively, Justice Ocran noted that where there are opposing views on a "submission of no case," the motion should fail, adding that the accused person would then have the chance to defend himself even if it means to call witnesses to give evidence on the issue. With regards to the variance in the date of the offence on the charge sheet as compared to what was in evidence, the judge held that it was not a serious determining factor, as the difference was minimal. The majority panel members were conclusively of the view that the GNPC was not set up as a financial company, therefore it was unlawful for it to undertake investment opportunities. In the only dissenting view, Justice Atuguba held that Tsikata never took into cocoa farming and that GNPC's investment in the Valley Farms did not constitute a financial loss since the limited liability company was not competent enough to undertake the cocoa farming. He further rebuffed the assertion that the former GNPC boss willfully and recklessly caused financial loss to the state. According to him, if Tsikata was not having the interest of the company at heart, personnel from the corporation and Merchant Bank would not have been on the board of Valley Farms to seek the interest of the GNPC. Additionally, the presiding judge noted that guaranteeing the loan did not occasion any loss to the corporation since evidence indicated that the investment was viable and the loan could be recovered within a reasonable period of time. He is, therefore, of the view that the prosecution has not discharged its burden of proof against the GNPC boss, adding that it is not incumbent on the accused person to prove his innocence of the charges leveled against him. On the charge of misappropriation of public property, Justice Atuguba held that the charge did not hold. According to him, GNPC's investment in cocoa production; a product based on foreign exchange did not occasion any misappropriation of funds since evidence indicated that the corporation was at the time, very handicapped with foreign exchange.